Very good choice, that laptop should run pretty much any game out now well. My Dell's rapidly dying so looking to replace. How does this look? I know it would run FM fine, but how well - five star, full graphics (currently I'm in 1.5 stars, low on graphics!)? How quick would surfing the net with tons of tabs open while playing FM manage? I’ve had the non touch version of this laptop for the last three years, no issues until this years football manager edition where I’m seeing some stuttering in the 2D engine. Although at this stage I can’t say whether that’s due to the machine or the game. Graphically it gives three stars but under recommended for the pc settings it sets everything to high. Multi-tasking is efficient although generally I’m not browsing too much when FM is on. I’d say it’s still a solid laptop but the graphics card is a bit dated, depends how much your paying for it though I suppose. Can someone tell me the difference in power between HD 5000 GPU and an Intel HD Graphics 620? Can someone tell me the difference in power between HD 5000﻿ GPU and an Intel HD Graphics 620? The HD Graphics 620 is about 35% more powerful than the HD 5000, but they're both pretty poor, given they're integrated graphics chips rather than dedicated graphics cards. Thanks for the feedback. It's $800 and something - about 700 of your old squids. I don't play any games other than FM but I would like to see some of the higher-spec 3D ME details and run a larger database without the slow-down. To be honest, I'm not at all bothered about the touch-screen; if there's an equivalent model that's cheaper without it, I'd prefer that. It depends too on the release date the 620 of Q3 2016 is roughly 35% faster based on user benchmarks - but the Q3 2017 is ranked at being 63% faster. Either way the HD 5000 is from 2014 - now 5 years old - so you're better off going for newer technologies anyway. Thanks for both the replies. I bought the Dell XPS 15 2 in 1 16GB 4K but was suffering from motion blur during matches so have decided to return it. I’m looking at upgrading my Surface Pro 3 to either the Surface Pro 6 or Surface Book 2 15” 1060 GPU. I want to play in Tablet Mode but will accept the Studio Mode of the Surface Book 2. Anyone have any help or advice? The 1060 GPU in the Surface book pro will be throttled by the low processor. It would be wiser to spend your money on a high end laptop - Surface Pros - much like Macs - are terribly overpriced for what they are. I really want something I can hold though, as in a Tablet, as I won’t be sat at a desk or table where I can use a conventional laptop. Do you have any suggestions then based on that at all? Perhaps a “gaming tablet hybrid” or something I’m yet to discover? What's the actual budget here? Can’t really go beyond £2700, and that would be pushing it really, was hoping no more than £2500 to be honest. The graphics card is integrated - but becnhmark results tell me it's on par with a 1050 to the 1050TI - which is more than enough for FM. I can keep looking - or if others can weigh in their opinion then great! I did have a look at that in Curry’s, it was on my list of potential options, but something about it I wasn’t overly enamoured with. Would downgrading from the 4K XPS 15 2 in 1 to the HD XPS 15 2 in 1 be of any help to the motion blur issue? Or will the motion blur be present over all configurations of that model? Any reason you’ve not included the Surface Book 2...would you recommend I dismiss that entirely? I just think they're overpriced - and they don't divulge the processor information, only say it's i5 or i7 - which is annoying, as for FM the processor is key - and you don't want to shell out that amount of money and not even know what you have bought! If you want to get the links for the Dell ones and the Surface Pro or any others and I will take a look. If you can dig up the processor specs on the Surface machines too - it would be a big help. I think @Miles Jacobson tweeted he had the Surface Pro with the 1060 graphics card and it was a bit laggy - this is where I reckon the processor is not a good pairing for the graphics card. The UHD integrated graphics card would be ok - on low settings for the graphics. Is there no option with the 1050/1050TI? If there was I would go for that with the i7. Do you mean for the SP6 or the SB2? As only the 13” SB2 has the 1050? 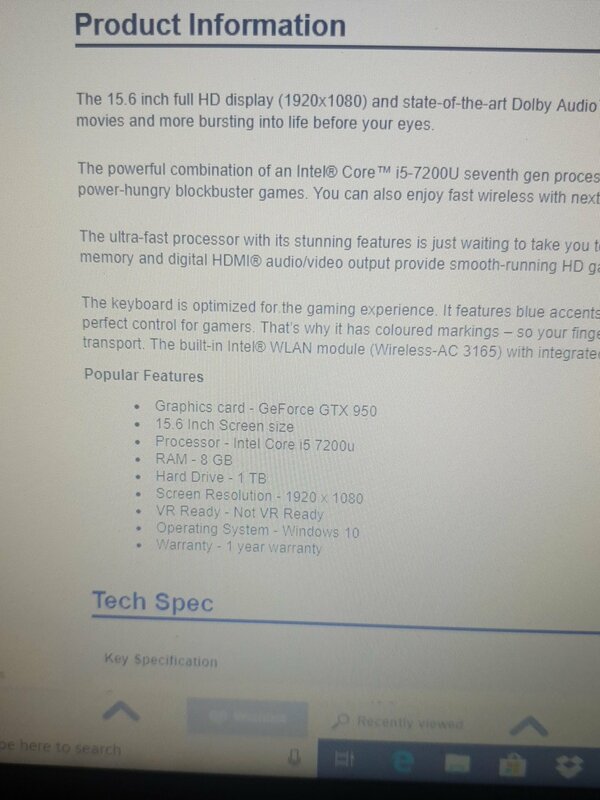 I've been away from FM for a number of years and coincident with looking to get back in and my current position of looking for a laptop to replace my ageing PC and current budget laptop I am looking at the XPS 15 9570 with i7-8750H, 16GB RAM and GTX 1050Ti. How would this perform in terms of FM nowadays including number of leagues and player database performance? I've primarily centred on the XPS as a compromise between my needs of having something to replace my desktop whilst having sufficient performance now and in the future as well as providing the full benefits of a laptop that could be used all day away on its own steam. I'm happy to listen to other inputs or yet to be considered options or opinions. What's the processor in the SB2? That would be excellent. However, there may be something better out there - if you can provide a link to the laptop and also let us know what your budget is? That'd be entirely fine for FM19, it'd perform well and should allow for a pretty large database and number of leagues, as there's plenty of RAM, a decent graphics card, and a very good processor. 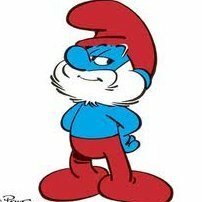 However, as @Smurfsaid, there may be something out there for better and/or cheaper, depending on your budget. Budget is there or thereabouts but only really due to the versatility it appears the XPS will offer over having separate systems ie. new desktop and laptop setups. The weight, battery life and general portability of the XPS is what appeals from looking at laptops currently as it would effectively carry out two roles. It's very nice - lovely and thin - looks slick! Found this one - better graphics card - but smaller hard drive - not a big deal 256 should be ok - but you can upgrade ssd in future if needed. Aero aren't that well known - but they are a British company - nice 1060 graphics card (as one I posted above) - which is better than in the Dell one, plus this one has a 512gb SSD like the Dell - slightly better than the MSI. The one thing I'd look for on something like this is battery life - the MSI has a noted battery life of 2-3 hours - however, the Aero has 9-10 hours. Depends if you want to play with it plugged in all the time or on the go. There are two that I've spotted that might prove decent alternatives. One is this one - https://www.cyberpowersystem.co.uk/system/MSI-GS65-Stealth-8RE - similar weight, better graphics card, but slightly smaller hard drive, but £50 cheaper. The other is this - https://www.cyberpowersystem.co.uk/system/Tracer-III-15-Xtreme-VR-400-Same-Day-Gaming-Laptop - Slightly heavier, but better graphics card, and an extra 1TB hard drive for more storage of games or whatever, and about £450 or so cheaper. Each of those also has 144Hz refresh rate screens, where as I wasn't able to find information on the refresh rate of the XPS 15's screen. Which is the best apple device that football manager can be played on at the moment? If its only 2D then thats fine. Would love some advice if at all possible. I'm in a different situation to most of you in that I can't afford most of the figures that are being thrown around, and I know next to nothing about laptops. I need to buy a new one, because my old laptop of 8 years has finally given up the ghost. I have a work laptop, so I'd be using this one only for FM. I play matches in 3D with minimum detail, and I load 4 leagues with a medium database. I'll be playing at home generally so don't need great battery life for being on the go. I'm not that bothered if I buy a new or refurbished laptop. Within my budget I found these 3 and would appreciate any advice. My budget is £300. As I say, this laptop will be used for FM and nothing else! I don't know how that will fair with a low TDP processor and a high end graphics card - the pairing seems odd and might cause some issues. No hard and fast rule - they are all expensive, but even the cheapest of them would be ok to run. Obviously the more you spend the better the experience. Processor is key for FM - then RAM (min 8gb) - then a graphics card if it's allowed or not too pricey on the Mac. They're all pretty terrible and will struggle with FM - if those are your only choices then the middle one. But generally most on that site are pants for FM. Last question, considering my (admittedly crappy budget), any laptops you would suggest? Ok thanks! Let me know your thoughts! Is there a big difference in specs between FM18 and FM19? If I was happy with how FM18 ran, would I expect similar performance with FM19? With a bit of digging it looks like the CPU coupled with the 1060 graphics card will be fine. Would it run ok with the tablet detached? Or would it simply be unplayable? What would you recommend out of the Surface Book 2, Surface Pro 6 and the HP Spectre 15 x360 then, to play in a tablet form? Changes noted in red FM 2019 Windows Vista is no longer supported. FM 2019 Linux is no longer supported. Honestly never even seen or held them - you should pop into a shop and get your hands on them. 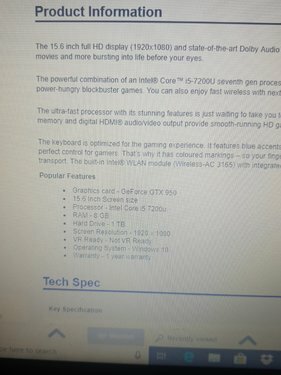 I meant just based on specs? What would your recommendation be? Oh in that case the 1060 graphics card is better - so I'd go with that one. Specs or similar enough - other than graphics card. 1) Is the discrete 1060 graphics still connected when you turn the tablet portion around into what they call “studio mode” I know the battery still is, so surely the discrete GPU still will be? 2) What’s to say I won’t get colour trailing and motion blur as I did on my 4K Dell XPS 15 2 in 1? These are the two issues making me fearful of committing £2,549 on it. Surely this image shows that the GPU 1060 is still connected, as you wouldn’t get far with the integrated one? The only info I can find out is that the 1060 graphics card is in the base of the keyboard - discrete I think just means a smaller version designed for slim laptops or devices. As long as the device is attached to the keyboard it would be appear the 1060 graphics card would be working. But I don't know for 100% on this. Even if it was just in the keyboard, and you detach it, it seems the processor will be used, using the intergrated gpu there, which is still ok for low-med detail levels. That picture being on the Microsoft website has given me a lot of hope, wouldn’t advertise gaming in that manner if it only used the integrated GPU in the tablet portion, surely! I have the 2018 MacBook Pro with the 560x card. I can play a big database with more than 8 leagues playable and still getting good performance. The 3d match engine also plays without stuttering or anything. Don't have any problems with overheating either. Will the game speed up a lot if I will upgrate to 16gb ram or 32 gb ram ? The laptop will run better with 16GB RAM (with those specs, 32GB RAM would be overkill, you'd never use it all), and it may assist with the game running, sure. What about buying 1 piece 16 gb and keep one 4gb (so I will have 20gb) would it be ok or it would be better to take it out since it older and will be slower or something?